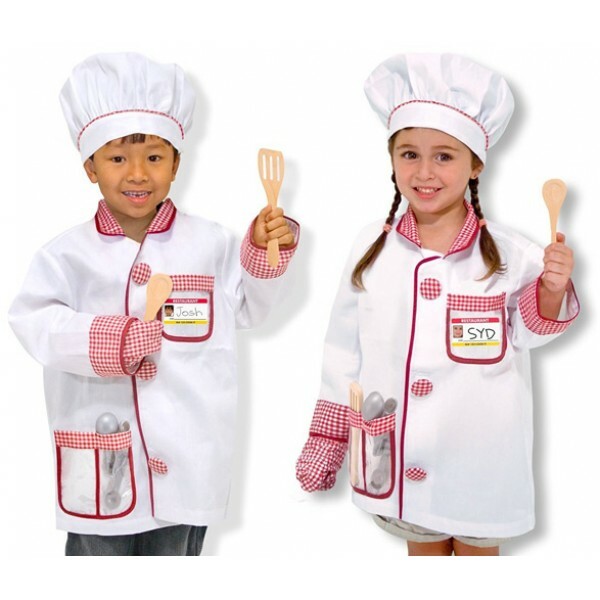 Melissa & Doug Chef Role Play Costume Set is perfect for play time, or helping mom and dad in the kitchen! 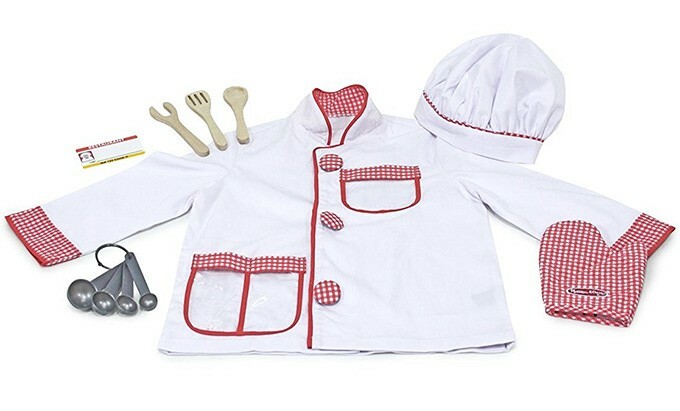 With a machine-washable chef jacket and hat, your little chef will be master of the pretend kitchen! 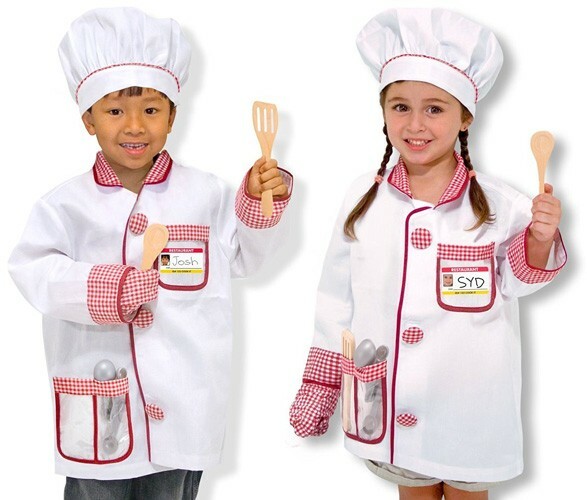 This set comes complete with a set of measuring spoons, two wooden utensils, an oven mitt and a name tag for personalizing. Made for kids ages 3 and up. 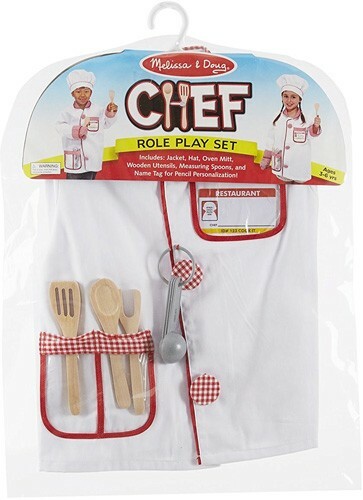 A cute, well-designed piece from the innovators at Melissa & Doug!